Ben and Andrew keep meeting in unexpected places, and the intense relationship that develops seems to be guided by fate. Or is it? What if the very thing that draws them together is tainted by past secrets that threaten everything? 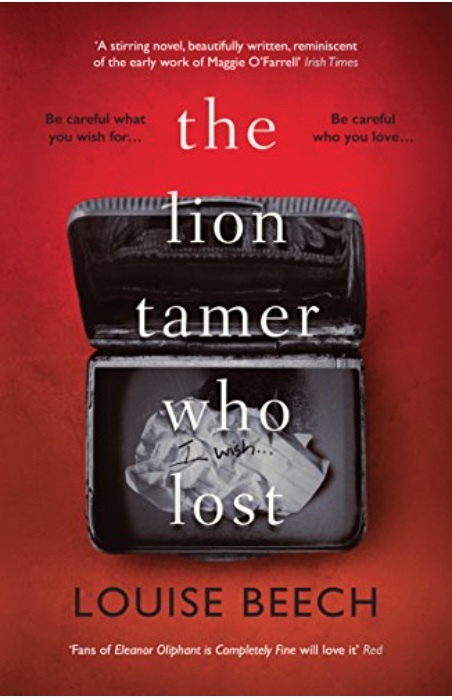 A dark, consuming drama that shifts from Zimbabwe to England, and then back into the past, The Lion Tamer Who Lost is also a devastatingly beautiful love story … with a tragic heart. 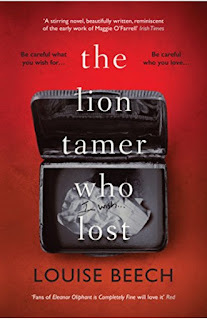 While The Lion Tamer Who Lost is a love story between Andrew and Ben, it was also a love story for me - as I was bewitched by Louise Beech's stunning writing for a fourth time (having read her previous books How to Be Brave, The Mountain in my Shoe and Maria in the Moon). This is a sweeping drama of Zimbabwe, with evocative descriptions of the African landscape and two rescue lions who need to learn how to live independently. I found myself reading some of the prose again and again, with everything so vividly described that I felt I was there too. The narrative switches between Ben and Andrew (relaying their thoughts, feelings and emotions), between past and present, and between the two contrasting locations of Africa and England. The characters felt very real and, once again, reminded me of the talent shining through the pages. I believe that everyone who reads this book will take away something different. For me, it was a story of unrequited love, of families and friendships, lovers and relationships, and promises, wishes, hopes and dreams. Of feeling trapped and desperate to break free, but needing the confidence to learn to fly, with similarities between Ben's own situation and that of the lions he was caring for. It was about the strength of love and the selfless sacrifices that people make at a time of crisis, and also having the maturity and courage to deal with life's setbacks if things don't go as planned.. I knew this book would be a tearjerker as soon as I immersed myself in Louise Beech's story, with her poetic words leaping off the page like little sparks of light. I had tissues, chocolate and counselling service on standby by the time I reached the end. Each one of her books is unique - nothing like her previous ones, but just as compelling and compassionate. I can't wait to see what she comes up with next! I am a freelance health journalist/editor with over 25 years’ experience of writing for, and editing, magazines and websites. I also proofread fiction. I am Freelance Health Editor for Bupa and write monthly about consumer health for community pharmacy magazines. I am on the LoveReading Editorial Experts Panel, reviewing non-fiction and audiobooks. In my spare time, I love reading fiction (especially crime). I launched this website to share my recommendations. When I am not working or reading, you will find me on Twitter. My health book, Allergies: A Parents’ Guide, was published in 2009. I updated the bestselling baby care book Your Baby Week by Week by Dr Caroline Fertleman & Simone Cave (published by Ebury - update out in June 2018). I am currently writing my own crime fiction novel. If you subscribe to Off-the-Shelf Books by email, your email address will be visible to us. If you leave a comment on Off-the-Shelf Books, your name and email address will be visible to us. Please be assured that we will never make use of your personal data without your explicit consent. We will never contact you without your explicit consent. We will never give or sell any of your personal data to a third party. This is a personal blog and had no commercial status. I do not send out newsletters and therefore to do not compile or keep mailing lists.